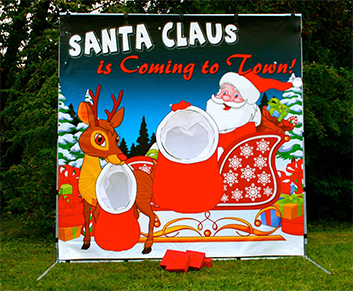 Santa Claus is Coming to Town is a perfect frame game for Christmas parties and holiday events. It comes with "Rubber toys" for kids to toss into Santa's bag. It is also a great way to distribute gifts at a party. 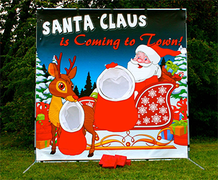 Put the gifts inside Santa's bag and children can take a gift from it.